July 7, 2016. 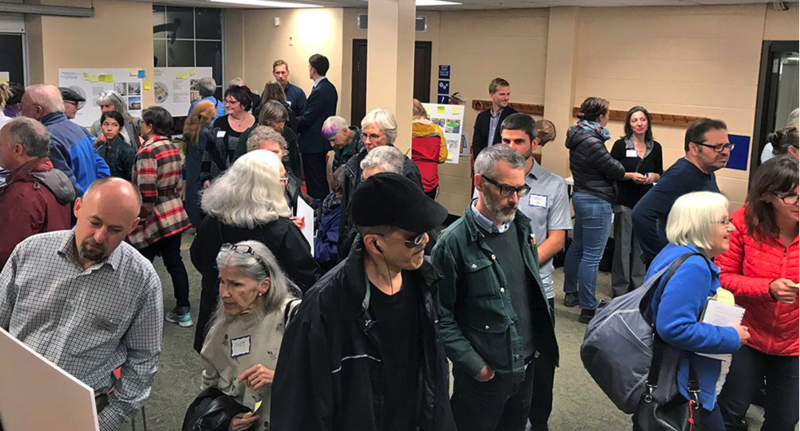 The Rosemount Expansion and Development (READ) group and Councillor Jeff Leiper are pleased today to release the report arising from their joint community consultation on the future of the Rosemount Library branch. The report, Rosemount Library: The Next Chapter (2016) summarizes months of discussions between community, Library, City and other stakeholders exploring how the branch can serve the near west end of Ottawa for years to come. Here is the link to the report. At the same time, the Rosemount branch serves thousands of users in one of Ottawa’s smallest branches. Its book circulation per square foot is the second highest in the system. Given its popularity and lack of space, the branch is unable to provide the programming and services that are considered common across many of the other branches. There is little room for activities such as programming, meetings, group work, quiet reading or computer use. In tight quarters, even browsing books can be uncomfortable. As the report demonstrates, there is strong community appetite for a much-expanded space to build on Rosemount’s strengths. Space was consistently the community’s top priority expressed in the consultation. While the report makes no preferred approach for how this might be accomplished, residents explored a wide range of measures from renovating the existing space with efficiency in mind, to expanding the existing building through creative renovation, to moving the library to a nearby location and building a 21st century facility from the ground up. As the report also demonstrates, and as was also re-iterated by Library administration through the process, expansion of the existing building to create significant new space will pose a difficult challenge. The existing Andrew Carnegie library enjoys a special place in the hearts of its users. If a move is necessary to find more space, this should not be undertaken lightly, with there being interest in repurposing the existing building for other uses while maintaining its heritage. Residents were clear in the consultation on the importance of its current geographic location in the heart of Hintonburg. With the need for space top-of-mind, READ, Councillor Leiper and the Ottawa Public Library have begun a constructive discussion about how to achieve this clear desire for more space. In the meantime, we invite the public to view the results of the consultation, which was expertly facilitated by Wesley Petite with the financial support of the Councillor’s office. Our thanks go particularly to the staff of the Ottawa Public Library who graciously provided feedback throughout the process as well as the information needed to help participants have an informed discussion.